Partnering with the Legislative Library of Ontario in 2007, the Government Documents portal brings together over 36,000 downloadable PDFs (representing over 2 million pages) with full-text search, as well as other options for public access. We continue to add government publications quarterly to this collection. 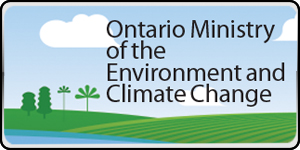 We are currently working with the Ministry of Environment and Climate Change to make available over 8,000 government publications from their collection. These will be accessible as downloadable PDFs, with links to alternate formats via the Internet Archive. Most documents are available in both English and French. Ontario currently has no alternate central repository for government publications in Ontario. Digitization, discovery, and aggregation services for Ontario government documents are currently being undertaken by groups such as the Legislative Library, ODW, the Ontario Digitization Initiative (a project of OCUL), Scholars Portal, and the Internet Archive. 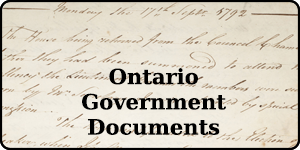 ODW is a member of the Ontario Government Publications Roundtable, collaborating on issues around preservation and access to government documents. 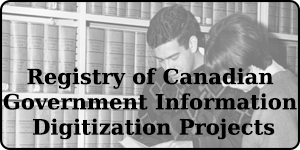 We participated in a project to create a registry of digitization projects of government documents. If your project isn’t yet in this registry, please let us know.